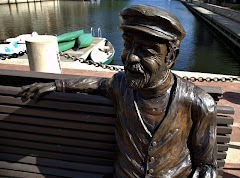 Restonian: News blog from Reston, Virginia, the mauve-colored New Town (tm): Let the panicked consumer stampede begin! Let the panicked consumer stampede begin! We heard on the TV that Reston's Game Crazy is expecting to get 100 Wiis in stock today. Good luck with that! 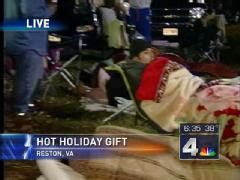 Update: If you're reading this now -- instead of having camped out at Hunters Woods overnight -- you're probably too late.